We started fast booth for a number of reasons. The main reason was photo booth speed. Other booths we encountered in the area were very slow, and still are. It took about 40 seconds to print each photo strip. The photo strip did not come out cut. They took four pictures and had little to no area to make the photo strips special to the event. This led to very long lines of people that should have been dancing. Our printers take about 7 seconds to print our photo strips AND they come out cut. We take three pictures and give you the space below for your design. Photo booth looks were another reason we wanted to do photo booth better. Most photo booths look like they were thrown together, a big PVC pipe enclosure with minimal electronics. We wanted a booth that looked like a carefully planned part of the night like everything else on the biggest day of your life. 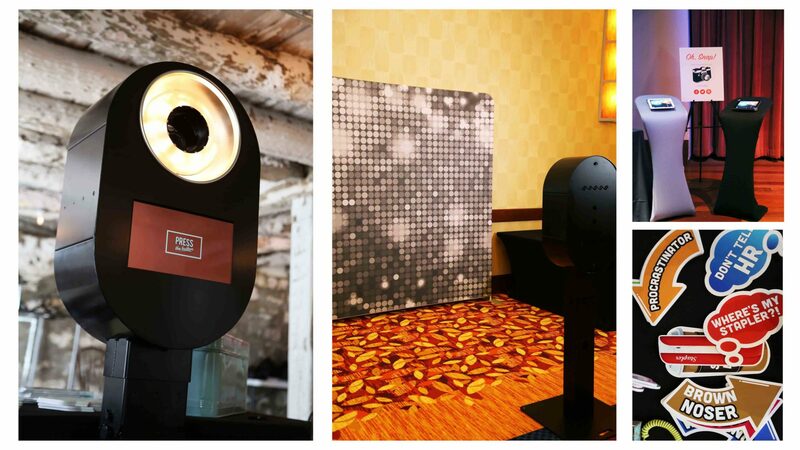 We also wanted photo booths that could be used as enclosed units or open air units. 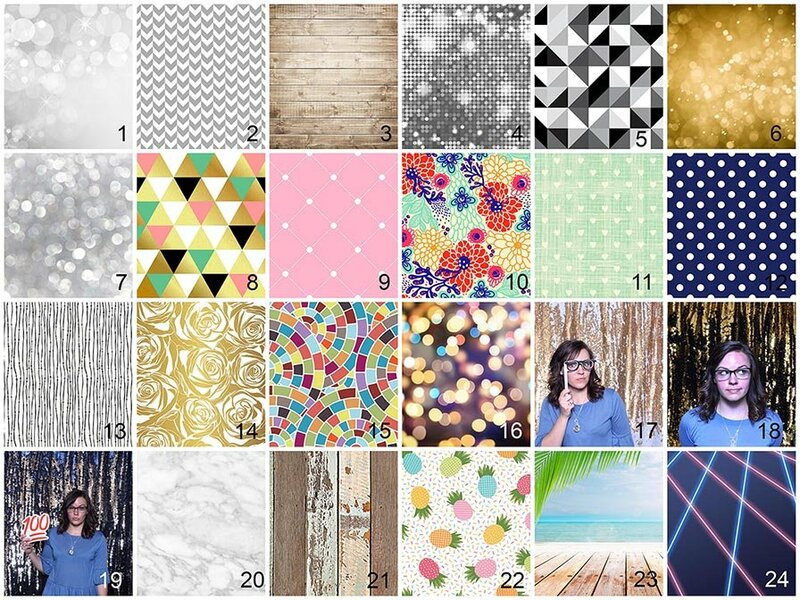 Here are some of our backdrops for our open units. Here you will find just a few of the designs we create for clients. Upcoming and former clients designs are represented. We match your colors, your event theme, your chosen text, and even your background color. We offer standard white curtains for the best picture quality. Other curtain colors are available by request. This is all in an effort to provide the absolute best and photo booth experience available. We want your guests to leave with something special from your event, not a cookie cutter design or anything with our logo on it. Our wedding design service is free of charge! Here are two examples of our open and enclosed units. 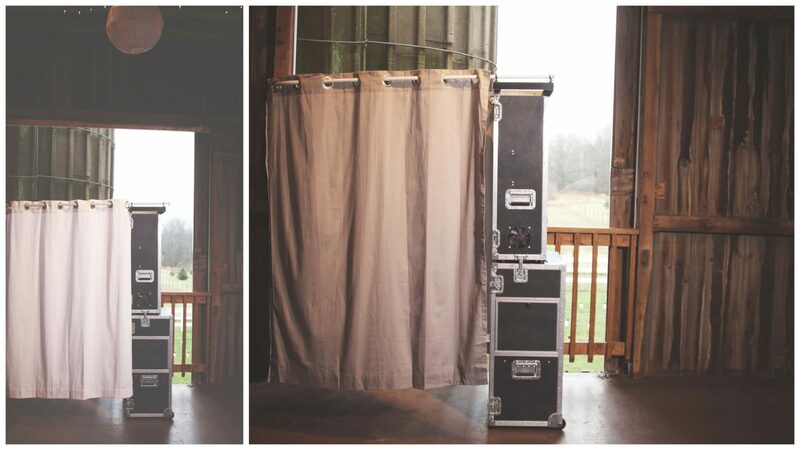 Open and Enclosed Photo Booths for rent.